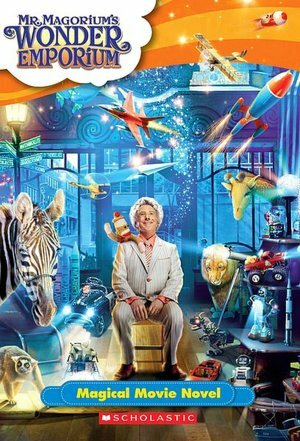 The Book Was Better: Episode 13: Mr Magorium's Wonder Emporium! Episode 13: Mr Magorium's Wonder Emporium! Oh, also, judging by her stance on magnets, I suspect the author might be a Juggalo. If Luke watched movies at actual speed, he'd probably know that it was Gene Wilder that played Willy Wonka, not Gene Hackman. Who cares? I've always preferred the Tim Burton version starring Johnny Knoxville. That "joke" about the number of hot dog buns v the number of hot dog sausages is a plot point in the Steve Martin ~classic~ The Father of the Bride. Six degrees of old jokes, I guess.